This is how you transition into fall in Louisiana! 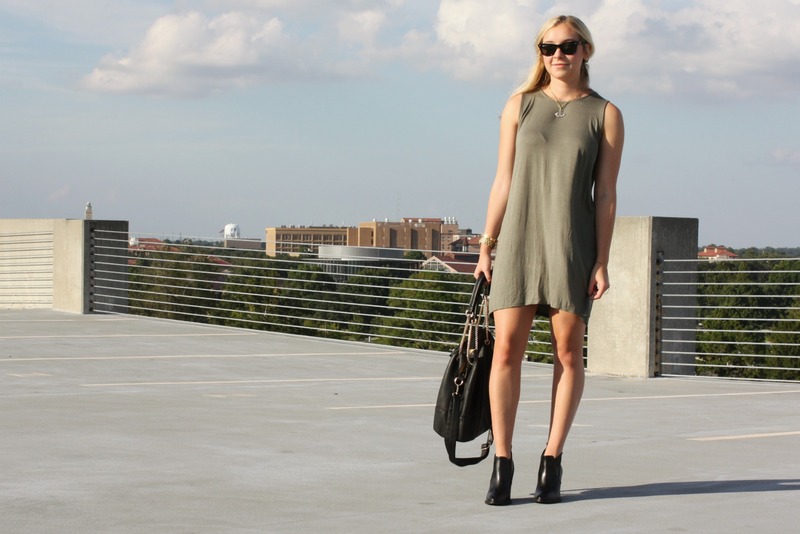 I saw this dress this past weekend at Shoe Lala in Lafayette and knew this would be perfect for fall. I am really big into army green and maroon this season, so I have already splurged on a few key pieces that I will be sharing throughout the next couple months. This dress is perfect for this uncertain weather because of the knit material and no sleeves. You can easily throw it on to run errands or pair with tights and a leather jacket for a night time look. Also, the draping in the back gives it a new, edgier effect looking as if I have a cape on! I absolutely love it. What are you most excited for this upcoming fall season? Any colors or trends you are going to jump on? Let me know! Ps. These booties I am wearing are ridiculously cheap from Forever 21 and go with everything. You know you will be seeing a lot of these on Lala Land!